We've been gearing up to potty train Miss Maple for over a month now. We had planned to do it after Christmas but little lady had pneumonia and we decided to wait. But this weekend, we're doing it! Maple knows that tomorrow when she wakes up: no more diapers! I've talked more extensively about potty training in this post: Are you ready for some poop talk? But for this round, I've put together some fun activities to entertain both kiddos and I'm sharing them here with you today! First, I want to start out by saying that potty training Judah was one of the most stressful things I’ve ever done. 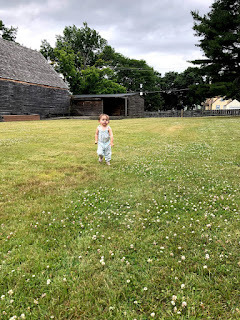 I’ve thought a lot about what made it so hard and I believe it had a lot to do with the fact that I had a three month old baby, had just gone back to work and I was very overwhelmed with the political hellscape that our country had freshly devolved into. Well, I’m in much better space these days. Sadly, our country is not. Since I won't be leaving the house, I plan to give my skin a little pampering. I'll be going sans make up and doing some face masks from Lush. I also have fun snacks for myself and kids on hand. Hippeas are my current obsession! We used Oh Crap! Potty Training with Judah, and we're going to be mostly following this method. 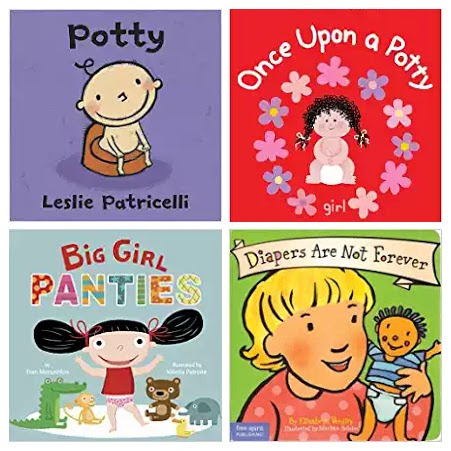 But Maple is much more interested in the potty and is also very excited to wear underwear, so we're going to follow her lead and possibly do underwear earlier than the book recommends. I have some cleaning supplies on the ready from Grove Collaborative and Mrs. Meyers. I picked up lentils and some beans at the Dollar Tree for some sensory play. We'll be burying little animals and using cups and scoops. As well as some little bears to paint. And the baking soda is for more sensory play because my kids love to make a mess. We'll be making some bubbly fun by adding vinegar to the baking soda. I told Maple that she will be rewarded with a mani/pedi tomorrow after we see some action in the potty. Julep is our favorite because it has less chemicals and lasts longer than other similar brands. And that little doll and doll potty will be joining us for our adventures! We also plan to make forts, do puzzles, play games and we'll be switching off taking Judah out for adventures! I've also put together a Pinterest Board full of toddler activities! And these are the undies that I picked up for Maple. I had a hard time finding super small underoos for my petite little mama but these are perfect and the prints are ridiculously cute! I mean, seriously, these prints are so cute. I feel like a creep for how much I love them!